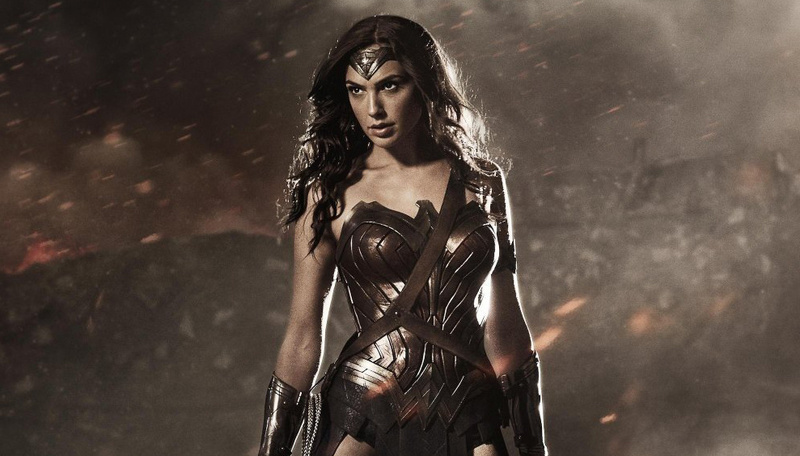 Actress Gal Gadot as Wonder Woman. Comic-Con came to an end this weekend, and we've got plenty of announcements to cover. One of them being the trailer for the new "Mad Max" movie, which made its way to the Internet yesterday. Rebecca Keegan of the Los Angeles Times joins Take Two for the latest Hollywood news. We start with a recap of Comic-Con. There were some big announcements around big projects this year, including "Mad Max." Zack Snyder, who directed "300" and "Watchmen," also released stills of Wonder Woman from his upcoming movie "Batman v. Superman: Dawn of Justice." What do you think? How does she look different than past Wonder Women? Speaking of movies with a lot of violence, Quentin Tarantino is going to make the movie whose script leaked online, "The Hateful Eight." Did he ever figure out who leaked it? Do you think the leak could impact sales? The trailer for the Batkid documentary also came out. The story is of a 5-year-old kid named Miles Scott who was diagnosed with Leukemia. The Make A Wish foundation turned San Francisco into Gotham City for him, and made him into Batman. Thousands of people showed up to watch. Now they're trying to raise money to finish the documentary via a crowdfunding website. What was the reaction like at Comic-Con? Any update on how Batkid is doing? The state of Florida is suing a visual FX company co-founded by James Cameron of "Avatar" fame for $82 million. Speaking of "Avatar," China wants to make its own. Why?